Spring is definitely in the air! This is my first spring season in my new home of Dallas and they sure weren't lying when they said that Texas does everything “BIG” – weather is no exception! While spring here brings a cornucopia of weather patterns including high winds, tornadoes, and hail storms, one thing I'm grateful for is warmer temperatures earlier than I'm used to. If you've followed me for a while, you know that I absolutely thrive in the spring and summer seasons – warmth is a big factor, but I also love reveling in spring fashion! And now that we're officially in the first few days of spring, I'm thrilled to share my top picks for the hottest trends that you'll see off the runway and in stores this season! This year's trends are certainly on point and I think you'll love them. And there's also one surprise trend that has made a debut as well! 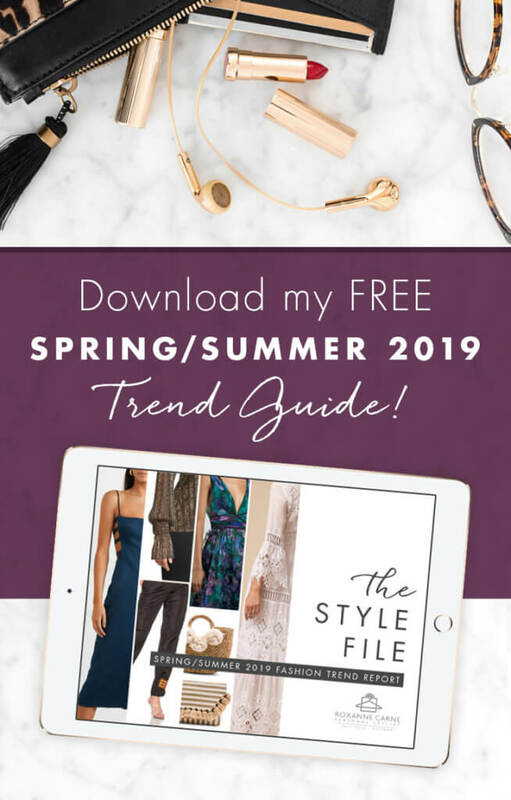 I invite you to take a “sneak peek” at a couple of these trends below BUT be sure to also download your FULL complimentary Spring/Summer 2019 Fashion Trend Report (directly below!). 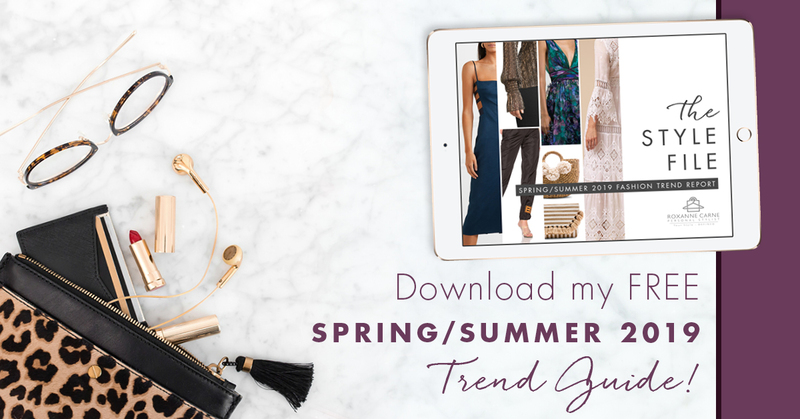 By downloading the full fashion trend guide, you'll have immediate access to my Top Ten Trends of the season with accompanying sample items for you to peruse and shop from! It's teaser time! Here are two of my top ten fashion trends to get you started! (And don't forget to download your FREE copy while you're here!). This is what happens when Boho meets the city. Pastoral dresses and bohemian style tops are designed with an extra ‘edge' giving it an urban vibe. This is something I can definitely get down with – how about you? Be inspired by this season's version of the embellished sleeve…the Poet's Sleeve! Blouses & dresses with this feature have long sleeves (with a deep armhole) that taper towards the wrist. I love that you can rock this in dressy or casual looks. Too cute! So, you got a slight teaser on two of my TOP TEN trends in women's fashion this spring & summer season. I'd love for you to dish on what you think of them! Are you feeling the Urban Prairie vibe, Poet's Sleeve vibe, or both? And after you download the report, you have to tell me about your thoughts about the surprise trend that I included. Comment below to tell me what you think! Love the looks and spring/summer fashion trend report? Be a doll and share this blog post with your friends!